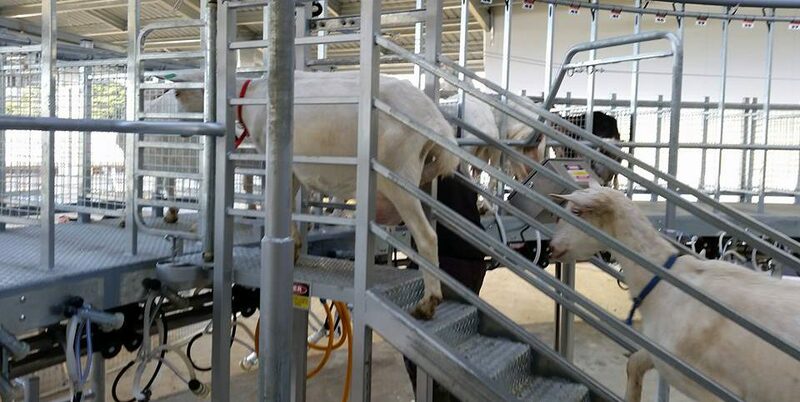 Chapman Dairy’s experience in the construction of farm dairies for cows is also applicable to small animal dairies for goat and sheep. Small animal dairies have huge potential in the industry for fresh milk, milk powders, baby foods and cheeses. There are a choice of dairy types that can be used, and we have previously built rotaries and herringbones for these animals. Herringbones typically incorporate stalls for the animals, but we can also build in a standard herringbone batch system. If you’re after a small animal dairy, take advantage of our vast experience and contact Chapman Dairy™.